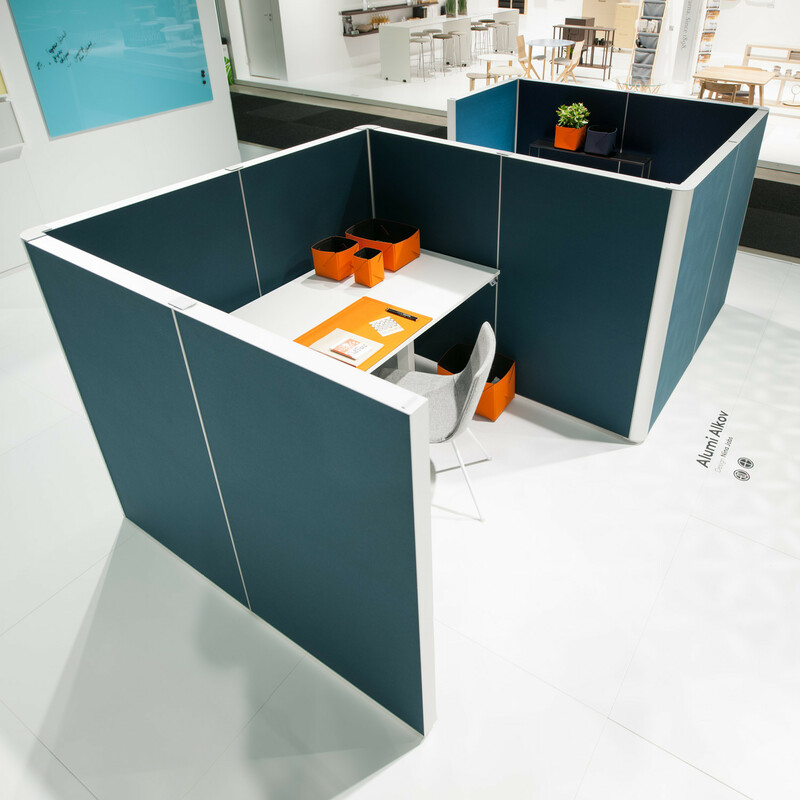 Alumi Alcove Screen designed by Nina Jobs, adds yet another inspiring product to the successful Alumi screen series. 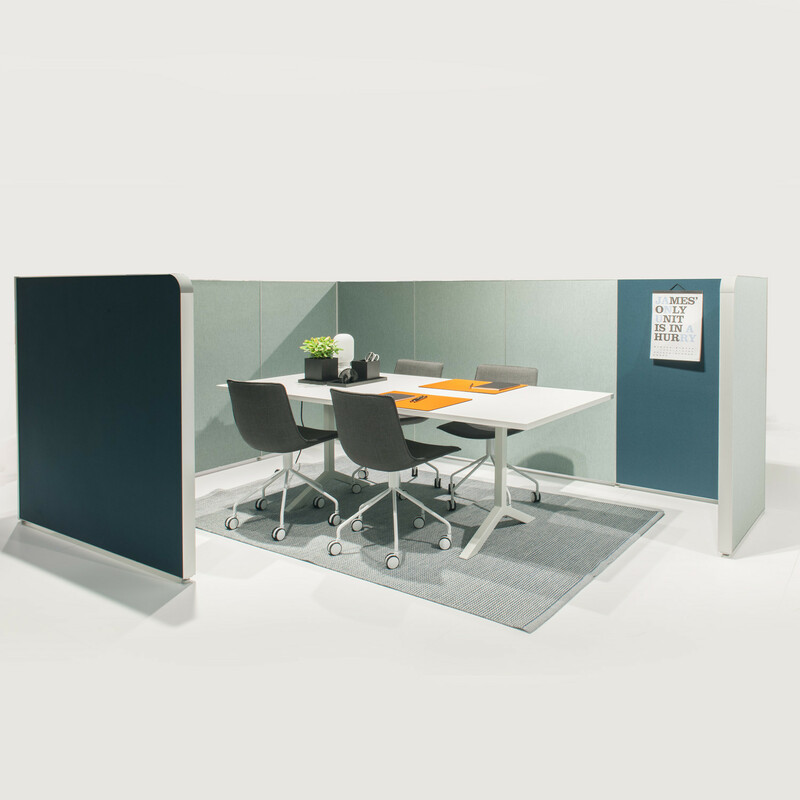 Alumi Alcove is a flexible system that offers the office environment a host of possibilities for creating spaces within a space. 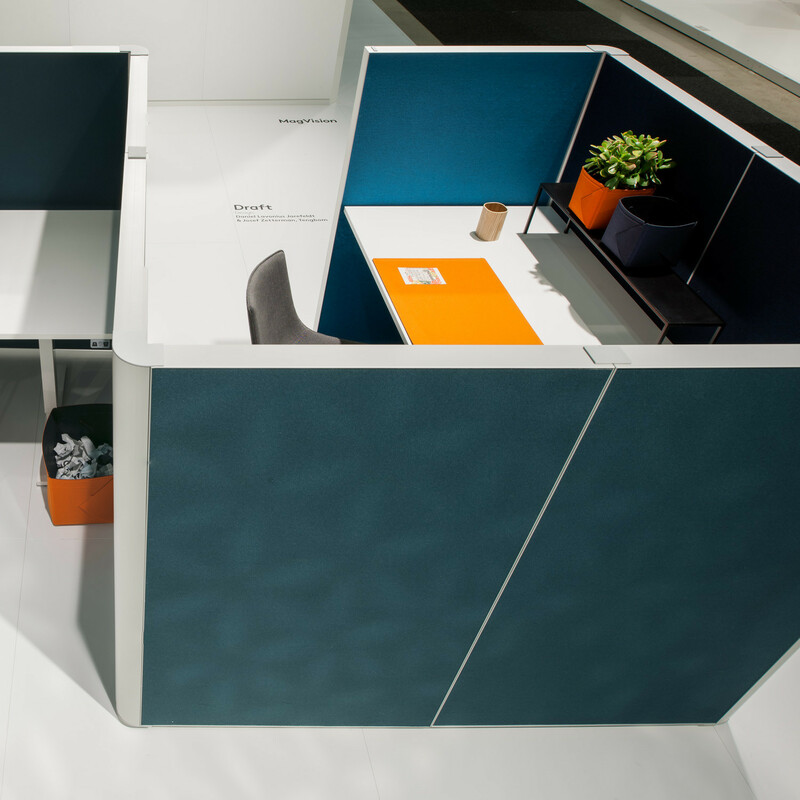 A new kind of aluminium corner connection has been developed simply to join the alcoves together to form a workbay or small meeting space. 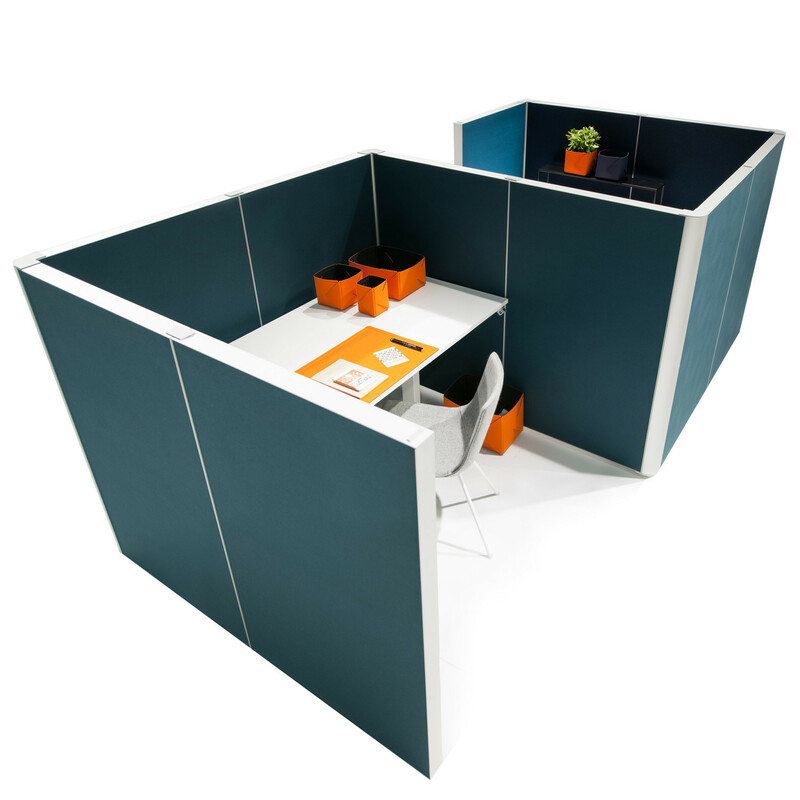 The system is designed to suit a variety of environments and interiors thanks to the different size and textile options. 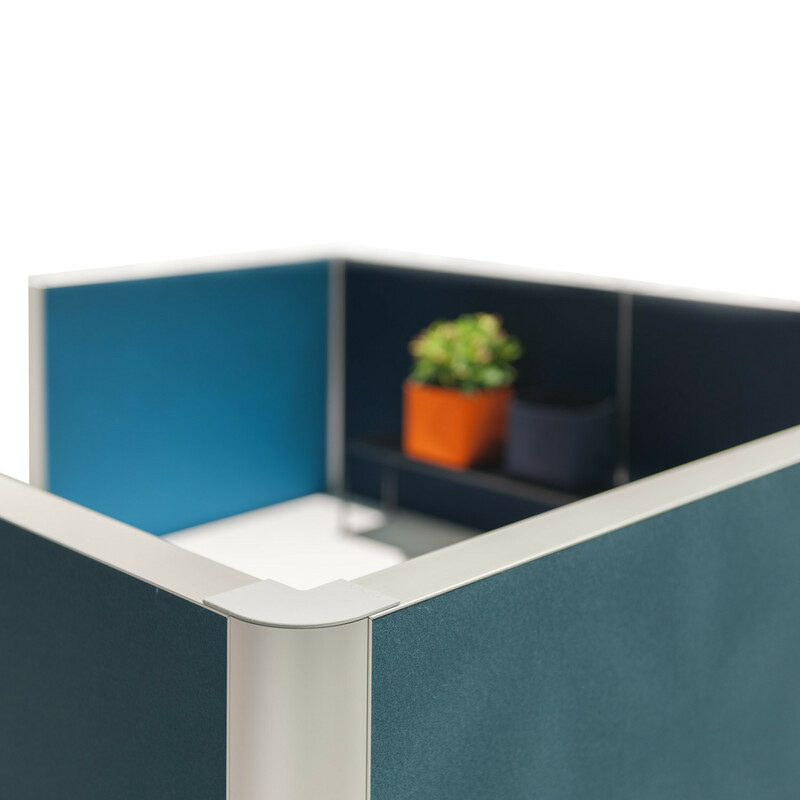 Alumi Alcove is an exciting combination of good sound absorbency and simple design. 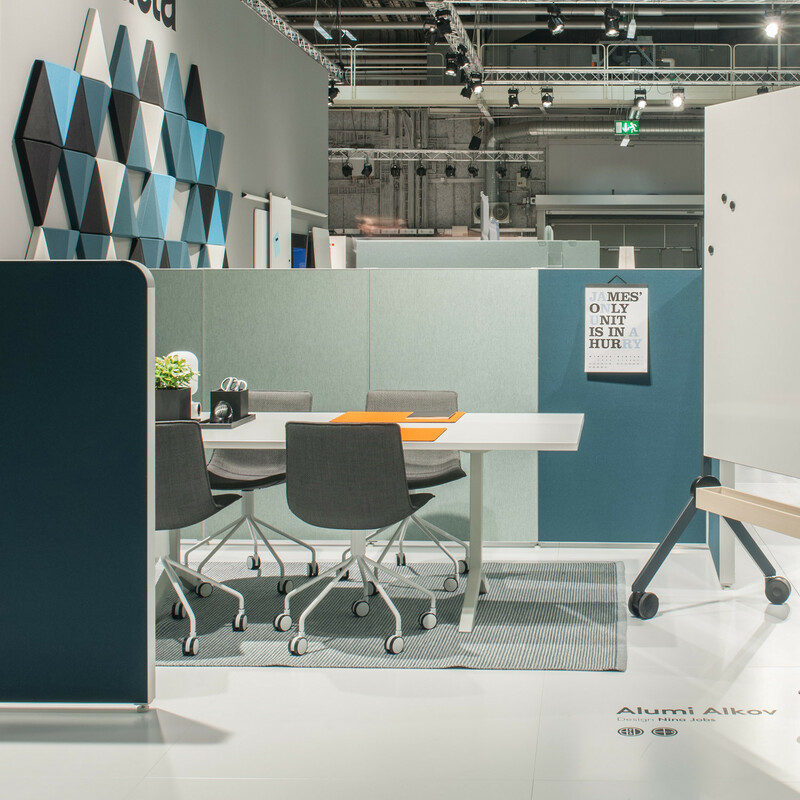 “Today’s workspaces with their open-plan areas calls for furniture with good longevity that is adaptable, so it can readily be transformed to meet new needs,” says Nina Jobs. You are requesting a price for the "Alumi Alcove"
To create a new project and add "Alumi Alcove" to it please click the button below. To add "Alumi Alcove" to an existing project please select below.